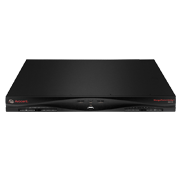 The Avocent MergePoint Unity™ switch includes both KVM-over-IP and serial console management technology. Centralize the management of the swiches with DSView 4 software. Advanced Remote Management – Provides secure and remote, out-of-band connections directly to the physical KVM, USB and serial ports to complement existing in-band software management tools. Meet Service Level Agreements and Minimize Downtime – Unified approach enables IT administrators a faster method to diagnose, reconfigure or restore equipment. Virtual Media – Enables USB media such as CD-ROMs, flash memory and external drives to be virtually attached to a remote server’s USB port. CAC/Smart Card Support – Utilizing the virtual media capabilities remote or local users can map a USB-based smart card reader to the attached servers and authenticate using their smart cards. Enhanced Serial Adapters – Supports standard, remote SSH connections to the attached serial devices and includes electronic pin-out options for quick and easy connections to the console ports on Cisco network equipment. Power Device Port – Connect supported PDUs for integrated power control, measurement and reporting. FIPS 140-2 Compliant Cryptography – The FIPS mode of operation uses an embedded FIPS 140-2 certified OpenSSL cryptographic module (Certificate #1051). Modules, Cables & Accessories MPUIQ-VMCDV Server Interface Module for DVI video, USB keyboard/mouse supporting virtaual media, CAC and USB2.0. Used with Avocent MergePoint Unity™ switch. Modules, Cables & Accessories MPUIQ-VMCDV-G01 Server Interface Module for DVI video, USB keyboard/.mouse supporting virtual media, CAC and USB2.0. Used with Avocent MergePoint Unity™ switch.TAA compliant. Modules, Cables & Accessories MPUIQ-VMCDP Server Interface Module for DisplayPort video, USB keyboard/mouse supporting virtual media, CAC and USB2.0. Used with Avocent MergePoint Unity™ switch. Modules, Cables & Accessories MPUIQ-VMCDP-G01 Server Interface Module for DisplayPort video, USB keyboard/mouse supporting virtual media, CAC and USB2.0. Used with Avocent MergePoint Unity™ switch. TAA compliant. Modules, Cables & Accessories MPUIQ-VMCHD Server Interface Module for HDMI video, USB keyboard/mouse supporting virtual media, CAC and USB2.0. Used with Avocent MergePoint Unity™ switch. Modules, Cables & Accessories MPUIQ-VMC​HD-G01 Server Interface Module for HDMI video, USB keyboard/mouse supporting virtual media, CAC and USB2.0. Used with Avocent MergePoint Unity™ switch. TAA compliant. Modules, Cables & Accessories ​MPUIQ-VMCHS ​Server interface module for VGA, USB keyboard, mouse supporting virtual media, CAC and USB2.0. 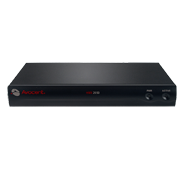 Used with Avocent DSR™ and Avocent MergePoint Unity™ switches. Modules, Cables & Accessories ​DSAVIQ-PS2M​ ​Virtual Media server interface module for USB 2.0 with 20in cable, required for DSR™and Avocent AutoView™ switches. ***Note: Legacy DSRIQs are also supported, please contact an Avocent sales representative for more information. ****Extended Maintenance Plans Available on all models, contact us for details. 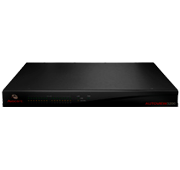 Avocent AutoView digital KVM switches provide access to your servers from any location via the on-board Web browser. Security – LDAP authentication and encrypted IP communication between the user’s browser and switch can be SSL-128 bit, DES, 3DES or AES. On-Board Web Interface – No need to load and manage another software program on the user’s PC. 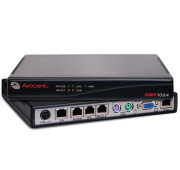 Access – One or two digital paths let you remotely manage all connected servers and serial-based devices; a local port provides at-the-rack access for a local analog user. Multi-Platform Support – Local PS/2 and USB connections and multiplatform target devices, including PS/2, USB, Sun and serial support. IPv6 Support – Supports Internet Protocol Version 6. BIOS-Level Access – Ensures connection to the attached servers regardless of the health or type of operating system. DSR digital switches let you remotely manage and power cycle connected devices. Centralize the management of the switches with DSView 4 software. 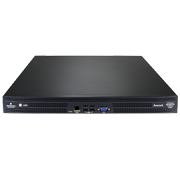 Digital Extension and Matrix Switching for Any Environment – The Avocent HMX Digital High Performance KVM system is part of the HMX matrix switching solution, an ideal solution for physical separation of computers from users. users to be located anywhere on the network. administration and authentication through AD, LDAP, TACACS+, RADIUS, RSA SecureID and NT. Greater Security – 128bit AES encryption for secure access. Dual, Digital DVI Video – Up to 1920×1200.